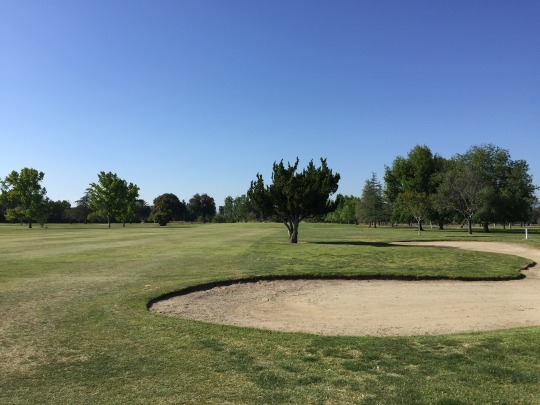 On Friday, I continued my recent goal of replaying courses I hadn’t reviewed on the site yet. I’m in no rush to complete this list, but it’s something to do in between any rounds I can get at private clubs. 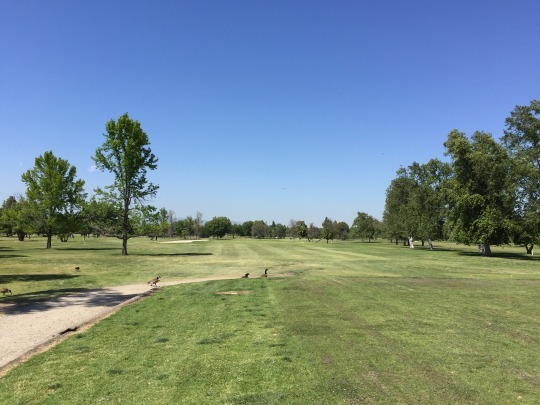 A friend and I met up for a round at good old Woodley Lakes Golf Course in Van Nuys. 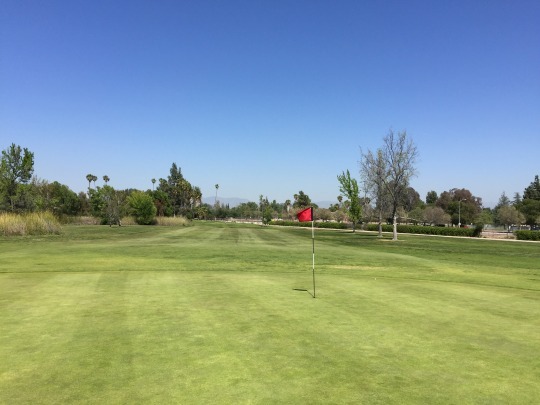 I booked a 1:25 GolfNow “hot deal” for us at just $20 a player. It really wasn’t that busy out there despite it being a Friday afternoon and a very nice day. We were paired with another twosome and teed off on time. We didn’t catch anyone for awhile, but then caught up to a bunch of groups with someone in front really slowing things down. The back nine took almost twice as long as the front. Overall, though, the round only took about four hours, so it wasn’t bad at all. As for the course itself, there’s not too much to highlight about Woodley. I know a number of people in the area look to it as their “confidence course,” and thus view it with a bit of a soft spot. I only played it once a long time ago and had very minimal memories. When I got out there again on Friday, I saw why there wasn’t much to remember about it. 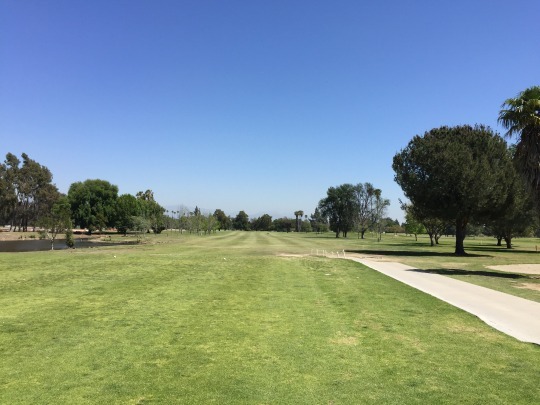 Woodley is one of the most flat and wide open courses you will play in Southern California. There is plenty of room for error and not much trouble to get into. There are a few small ponds, but they really don’t come into play unless you hit a ball very far offline. There aren’t many bunkers either. 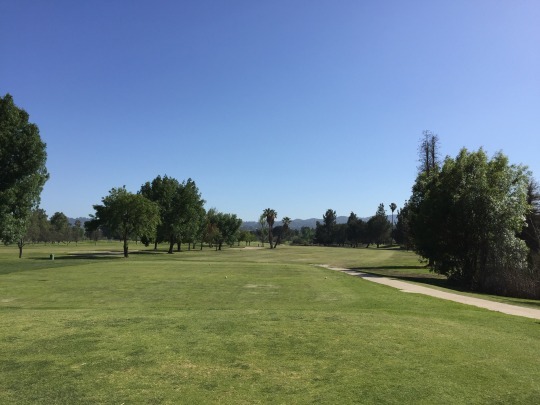 The back nine brings in a few slight doglegs. Otherwise, most holes are dead straight and very simplistic. Those ponds do attract a large amount of geese, who do their thing all over the course and seemed to always be around honking, fighting and possibly mating. There aren’t any signature holes to highlight or much else I need to say about this course. 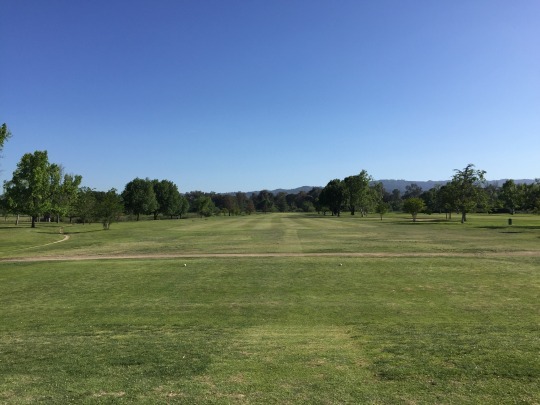 It’s a place where you can feel free to grip it and rip it on every hole without much fear of consequence. The greens are also large and easy to get at. 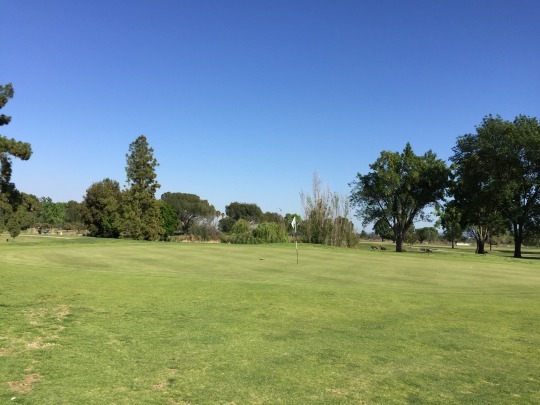 The only challenge you might face is a lengthy putt. 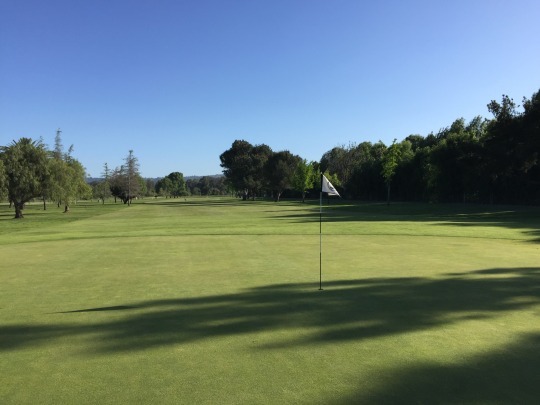 Still, the greens have little in the way of undulation, so they are generally not hard putts to read. Conditions were just okay at best. I would say things were very similar to my recent visit down to Castle Creek. 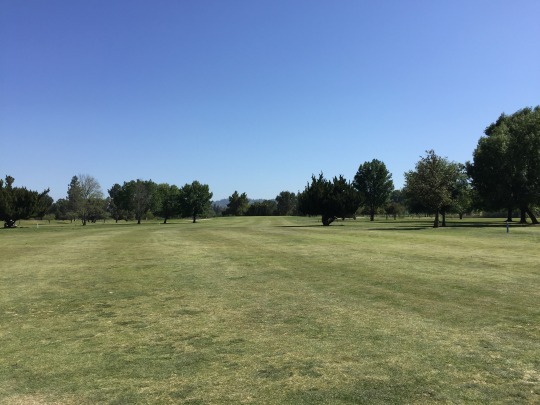 The courses are vastly different, but the conditions were about the same. The tee boxes were mostly okay enough with level stances. 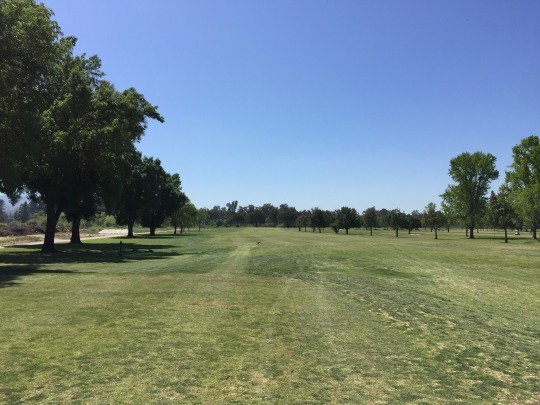 Like Castle Creek, the fairways had multiple tufts of grass coming in and the ground underneath was extremely firm. This provided lots of roll out and tight-ish lies on most approach shots. The rough not much of a factor, but also a hodge podge of different elements and lies. I was in one bunker. The sand was pretty good, but unraked. The greens were definitely the best part of course, rolling kind of slow but pretty true. This is all I need to say about Woodley. 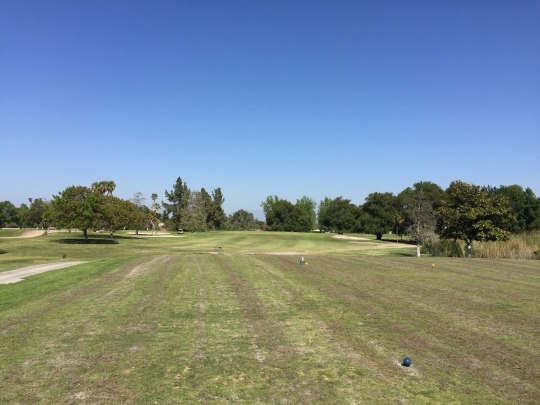 Expect mediocre conditions and a very straightforward municipal layout. 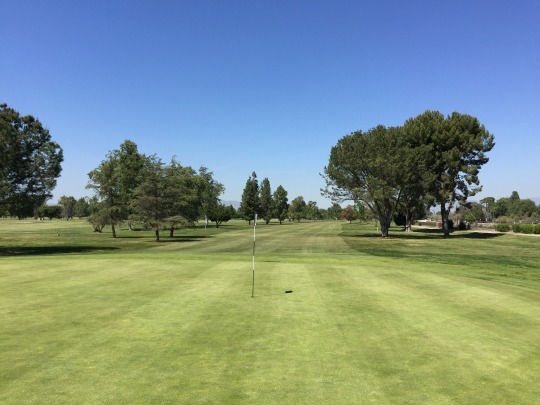 You can usually expect a good score, too, if you don’t mind playing off of firm turf and are a decent putter.